Visionaries back in 1939 realized that they could use new technology to report the news with images and sound. That’s when NBC launched the first TV newscast and innovations in delivering the news began. Many things have changed. Today, for example, when you turn on cable news, it’s mostly all about the sound. So let’s tune that out for this class and concentrate on images and storytelling and the best ideas in video reporting. While fewer people make an appointment to watch TV news than they did in the last twenty years, TV continues to play a big role in American life. Journalists who work in TV news fulfill the First Amendment mission to keep the public informed and hold truth to power. In 2017 50 percent of Americans got their news from local TV broadcasts, according to the Pew Research Center. Fortunately for those of us who want to use video to tell stories, the newscasts rely heavily on video storytelling and good journalists. In addition to local news, millions tune in to network news broadcasts, which for the most part also use video storytelling. And an increasing number of serious news organizations including The New York Times, Vice, VOX, Buzzfeed, Quartz and many others use various forms of video storytelling techniques to help keep the public informed and entertained. All of these news outlets use reporters, videographers and producers who swoop onto the scene of a story, synthesize what’s going on and figure out what video they will need to tell the story. In breaking news situations, they have to get it right the first time. Video reporting challenges them every day, and this class will challenge you. We will visit Vice one of these Mondays, and we’ll let you know as soon as they give you a date. So please watch Vice online and on HBO. During the 2018 Spring semester students followed their curiosity and reported stories that show their diverse interests and reflect what’s happening on campus and in their communities. Henry Guaman and Jennifer Vazquez-Orellana covered the City College Concrete Canoe Club as students built a canoe and then put it in the water to race. Maty Drame took an inside look at the New York International Auto Show to see the cars people dream about. Sonyi Lopez and Zoltan Lucas reported about the drive to get New Yorkers to compost their food garbage. Bushra Begum reported the story of a Bronx community’s concern about a rezoning plan that’s likely to change their neighborhood forever. Joey Viglietta reported about the student protest to retain control of fees for their clubs and organizations. Chiara Mordan reports about how Uber and other ride apps changed New York’s black car and taxi business. Katy Herchenroeder and Max Adler reported about the last day of the orchid show at the New York Botanical Garden. Reena Afridi reports about the program to feed the homeless run by the non-profit Muslims Giving Back. Zoltan Lucas reported his version of the New York City drive to get people to compost. Watch a story about Bronx youth soccer by Briana Almestica here. Watch a story about Changing Harlem by Briah Foster here. Watch a story about a Peruvian Café in Ridgewood, Queens by Alessandra Medina here . 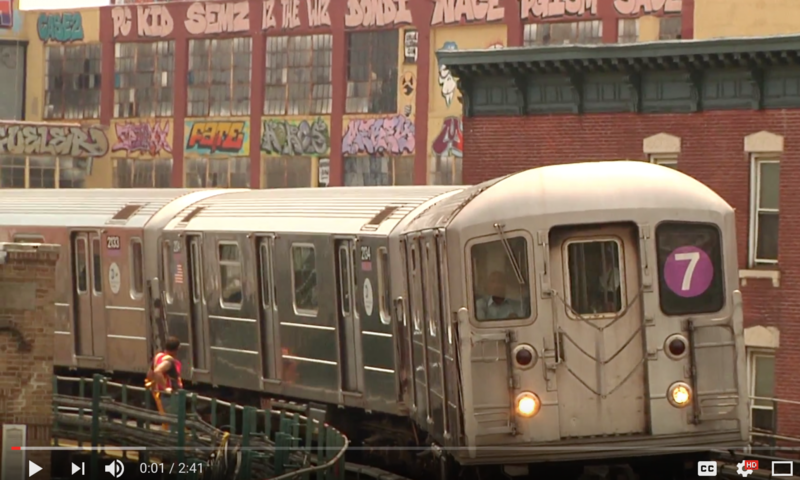 Watch a story about graffiti in Bushwick by Karina Batista here. Most of the organizations on this list offer scholarships, mentoring and a great opportunity to learn more about real-world journalism. Take advantage of what is out there! They may have job openings for 2019 in small communities. Keep up with their website. Breaking News demands attention. You might cover a fire, a battle in a war, a shooting, a plane crash, an important political announcement or an important cultural or social event. But beyond breaking news how do you define a good story? Think about your day and the challenges that you have. Think about your friends and family and how the commute to school or work affects them, what’s happening in their neighborhoods. How do they juggle kids and work, or kids and school? What does the drama in Washington, and President Trump’s tweets have to with them? The stories don’t have to extend beyond your college or community to have meaning and impact. But remember you approach the world as a video storyteller now and that means that the stories require interesting video. The best stories also revolve around strong characters who can help you tell your story. A father races into his family’s burning home to save his children. He dashes through the flames again and again and brings five children out to safety. But neither he nor the firefighters can save the sixth child who is asleep in a room at the back of the house. Although it is grim, it is a true story and breaking news reporters find themselves covering a version of this tragedy again and again. A community garden is set for demolition to make way for an athletic field. The gardeners and their plants provide a beautiful visual for video, and the conflict is clear. People want to continue to garden and people want to stop them in order to use the land for another, equally valid, purpose. A young ballerina from your community wins a competition and lands a job with a prestigious ballet company. The debut of rare Siberian tiger cubs at a local zoo also falls into this category. Some stories bring smiles to the faces of your viewers and offer opportunities for creative shooting, writing and editing. A doctor tries a new medical procedure in which he uses stem cells harvested from fat. He says that injecting one’s own stem cells into arthritic joints can ease pain and improve movement. The city council considers a sales tax hike. There’s a meeting where politicians, merchants and consumers will testify. A timetable and the items covered by the tax will be revealed. Beyonce comes to your community to film music video. You have the opportunity to visit the set and report the story. In this category you’d also include fashion, new restaurant openings, or lifestyle segments that highlight new trends. Some reporters like to come up with their stories and that’s called enterprise reporting. You might have a lead on an unreported element in breaking news, discover the cutest puppy in the neighborhood, get an exclusive interview with an interesting character, learn from a source about a Ponzi schemer or discover a contractor ripping off homeowners. Note: The anchor reads a VO before she throws to the reporter’s package.